Shock figures have revealed the horrific numbers of dogs abandoned in Cumbria – and the tens of thousands of pounds the strays cost councils. Hundreds of those in the county were not reunited with their owners and had to be passed onto refuge groups. In Carlisle, the city council collected 336 dogs with 137 of them not being reclaimed. It cost the authority more than £60,000. The Stray Dogs Survey revealed that more than 47,000 dogs were abandoned by their owners across the UK last year: More than 5000 of those had to be put to sleep. The figures have prompted fresh warnings from animal charities who are reminding people that they must understand the commitment of owning a dog. Colin Powell, fundraising and community manager at Animals’ Refuge in Wetheral, said people must think carefully before deciding to become dog owners. “Discuss it with family. Taking on a dog is exactly what the Dogs Trust says – It’s not just for Christmas,” he said. “It’s a big commitment. You need to think about the costs that are involved for food, vaccinations and more. It’ll need regular exercise and walks. Elsewhere in Cumbria, Allerdale council collected 179 stray dogs last year and two had to be put to sleep. In Copeland, officers manage to return or re-home all but one of the 133 stray dogs they rescued in Eden, officials dealt with a total of 79 strays. It is an issue that costs Carlisle City Council more than £60,000 each year and they’re warning people to make sure they’re in control of their dogs at all times. 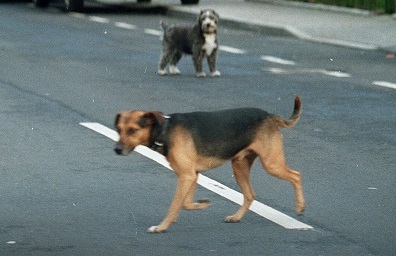 A spokesman said that stray dogs can be a hazard to pedestrians and vehicles as well as a source of fouling. “People need to be aware of the time and cost needed to keep pets such as dogs. They have to ensure they can commit to the long term care before taking on the responsibility,” he added. “We have a good relationship with a number of charities to re-home dogs after the seven day period which we have to keep them expires.